First birthdays are so important. The pictures will be a treasured memory. A first birthday cake will be a special part of that record, since the child will most likely make a mess of it all over their faces and high chair. The dessert will be such a focal point, you will want to select the perfect design to highlight your child’s likes, dislikes and personality. There are so many ideas out there that finding the right one may seem overwhelming. Whether you feature a kids’ T.V. 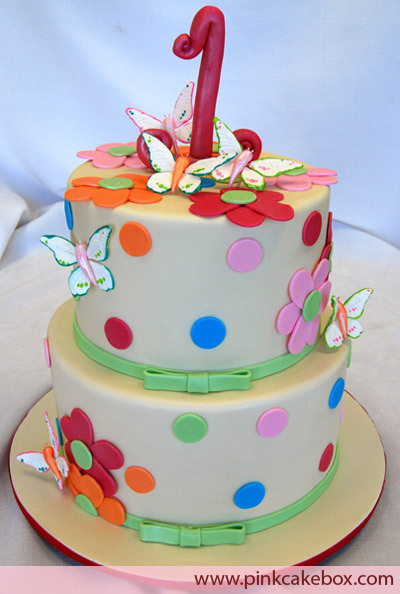 show, or his or her favorite movie, the outdoors, or a summertime activity, the cake can really allow for a sweet connection with your kid. There are so many ideas to spur on your imagination. 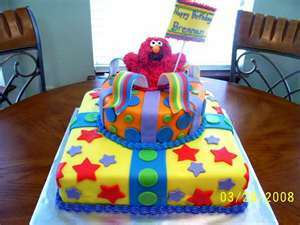 Wall-E Cakes, Sponge Bob Cakes, Butterfly Cakes, or Elmo Cakes are some that your kid might really love. Maybe it is a girl and she really likes princesses, dolls, or fairies. Maybe it is a boy who loves space ships, airplanes, or dump trucks. 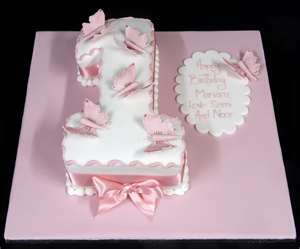 One of the most important steps when you plan a kids birthday cake is to involve your child in the decision-making process. Yes, this is a given, isn’t it? Vibrant colors and 3-dimensional features really create some interest. 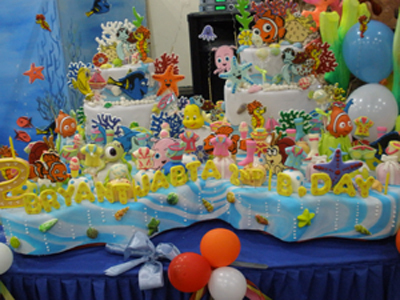 3-D cakes have a wow factor you cannot beat. Big shapes for young kids in vibrant colors give it some pop. 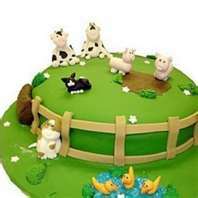 Adding some toys to a simple cake can be fun, and the toys could be used long after the cake is gone. If you do choose toys, just make sure the toys you choose are safe for the kids who will be around them. 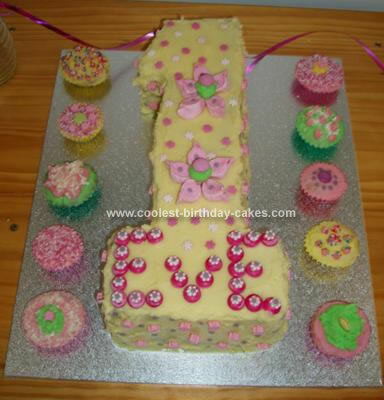 If the cake is for a one or two year-old, consider having two cakes. You can have one bigger one for the party guests and a small one for the tyke to destroy. You will have a great video moment and satisfied guests. 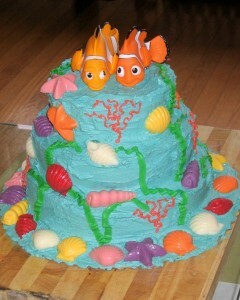 There is nothing like creating your own cake for your child. If you haven’t done it before, it really is not that hard. My website offers everything you need to know to create the best first birthday cake–with frosting and cake recipes, and easy step-by-step instructions, it is sure to be painless. 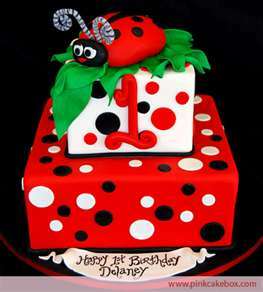 You can increase your repertoire from the simplest of cakes to a more detailed one as your child grows and your cake designs will make your child feel so special that you spent the time to create something geared just toward them. What better way is there to show them that you love them? I’ve spent a lot of time making cakes for family and friends and have learned what it takes the pain out of cake making and decorating. With my help you can simplify–from coming up with ideas, getting recipes for cakes and frostings, and finalizing the overall design, my instructions are so simple. 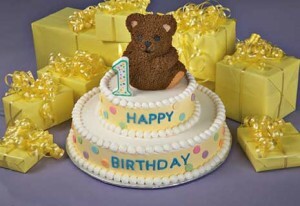 Come see what http://www.kidsbirthdaycakes.net has to offer you so that you can spend your time on more important things, like your child. 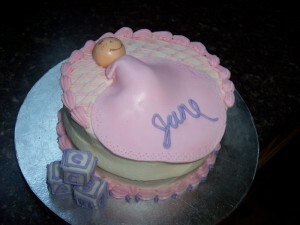 Visit my cake blog make a butterfly cake, Wall-E Cake, Space Ship cake and more. Plus, find out my favorite frosting.